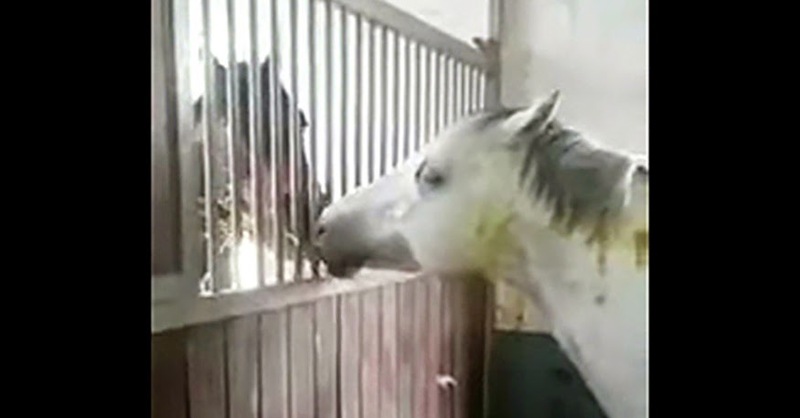 An owner set up a camera to see why his horse wasn’t eating, what he found will melt your heart. If you ever needed proof that animals have feelings and can show compassion, these lovely horses are it. Putting the needs of his friend before his own, what a wonderful lesson these two are showing all humans.